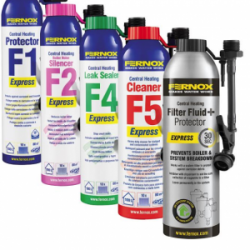 Following the acquisition of BuildCert by NSF International, Fernox will be changing the packaging of its inhibitors to incorporate the new NSF logo. 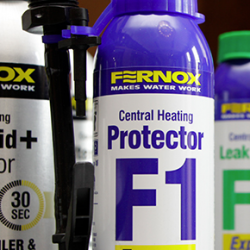 Fernox will be showcasing its latest product innovation, the TF1 Omega Filter, as well as market leading Cleaner F3 and Protector F1 at PHEX+, (20 – 21 June at Alexander Palace). 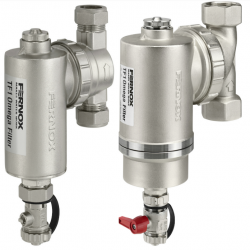 Visitors to the Fernox stand at this year’s MCE were the first to see the latest member of the TF1 Omega Filter range aimed at the light commercial market. 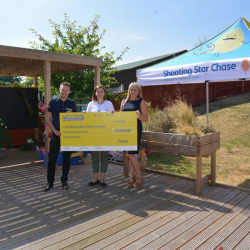 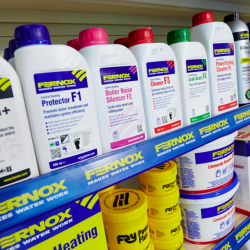 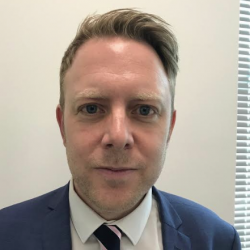 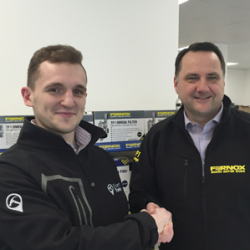 Fernox and Expert Trades have been nominated for an accolade at this year’s H&V News Awards, being shortlisted in the ‘Collaboration of the Year’ category. 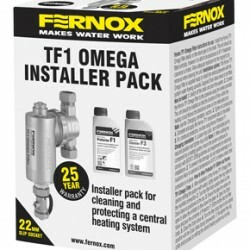 Be sure to check out the new TF1 Omega Filter Installer Pack from Fernox, which features the award-winning nickel-plated brass filter, as well as the company’s market leading Cleaner F3 and the quality-assured Protector F1.